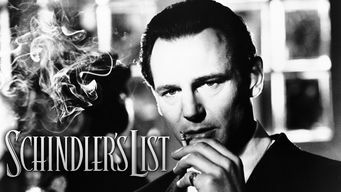 How to watch Schindler's List (1993) on Netflix Argentina! Sorry, Schindler's List is not available on Argentine Netflix, but you can unlock it right now in Argentina and start watching! With a few simple steps you can change your Netflix region to a country like Panama and start watching Panamanian Netflix, which includes Schindler's List. We'll keep checking Netflix Argentina for Schindler's List, and this page will be updated with any changes. Schindler's List is not available in Argentina BUT it can be unlocked and viewed! Oskar Schindler becomes an unlikely humanitarian, spending his entire fortune to help save 1,100 Jews from Auschwitz during World War II. A German businessman finds his humanity when he shelters Jews during World War II. Courage takes many forms. There is a way to watch Schindler's List in Argentina, even though it isn't currently available on Netflix locally. What you need is a system that lets you change your Netflix country. With a few simple steps you can be watching Schindler's List and thousands of other titles!